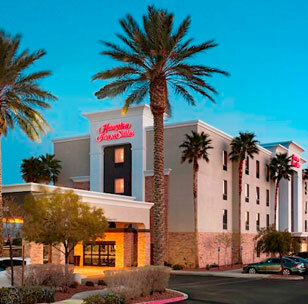 Just 3.5 miles from McCarran International Airport, this hotel is a perfect escape after exploring the Las Vegas Strip. 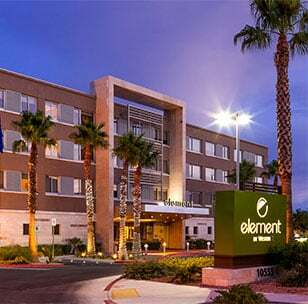 Stay in your element at our extended stay hotel just 15 minutes away from the Las Vegas strip. Renovated in 2018, enjoy nature-inspired decor and relaxing spaces. 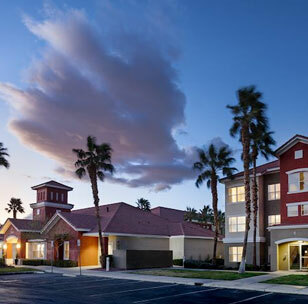 Enjoy a prime location four miles from Red Rock Canyon as well as experience world-famous Las Vegas attractions and nearby casinos. 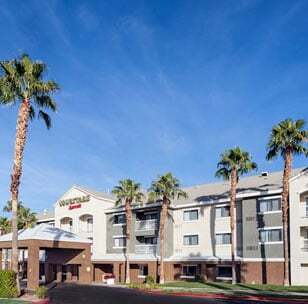 Perfect for an extended stay, our hotel is located just a seven mile shuttle ride to The Strip, and a short drive to the Hoover Dam, Lake Mead and the UNLV campus. 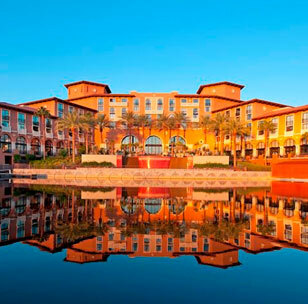 Retreat from the neon lights of the Las Vegas Strip to a lakeside paradise at the Westin Lake Las Vegas Resort & Spa where the only item on your itinerary is relaxation.